Playing with colors, textures, spaces and materials for interior are subject for consideration especially if it is one of a person’s passion and lifestyle. The great thing about interior is you can use colors that you love for your haven at the same time you can save money because you do not have to hire a professional designer to make simple changes to your home. Material for home division is not hard to find especially if you are living in a small condo unit or studio room. 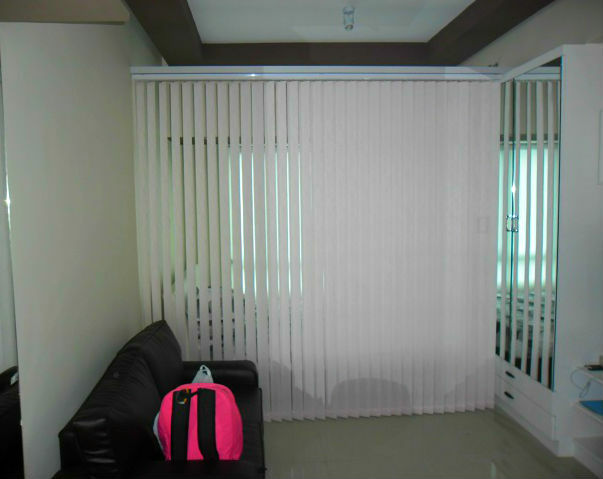 Our client from Palm Tower, San Antonio, Makati City, Philippines chose fabric vertical blinds as her room division. 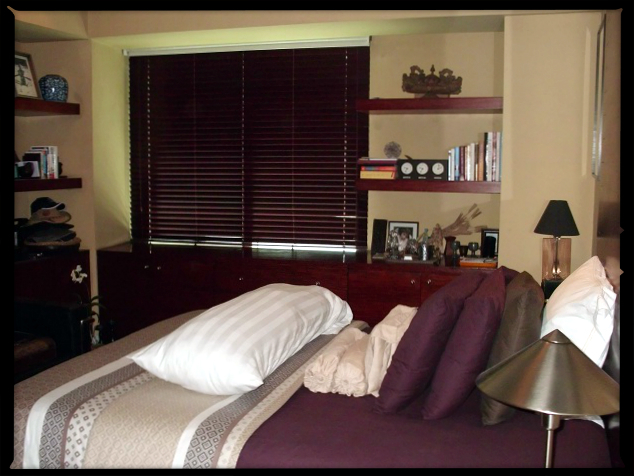 Fabric Vertical Blinds helps our client to save space at the same time it gives her privacy because she use it as a separation tool for her bedroom and living area. Combining colors are not that hard especially if you have a minimal space to use. She chose fabric vertical blinds because cleanliness of the material is very easy to maintain and the great thing about fabric vertical blinds is that it is inexpensive unlike other material for room division. Everyone is free to mix and match interior colors as long as it won’t look clumsy. 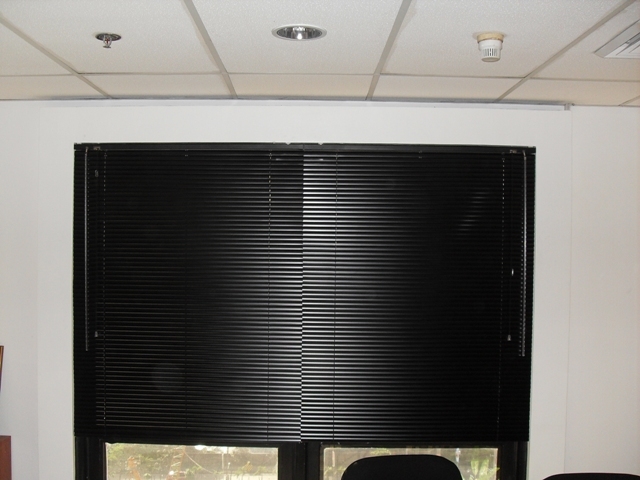 DS Windows and Walls, a service-oriented company, offers PVC and Fabric Vertical Blinds for your windows, doors and as room division. 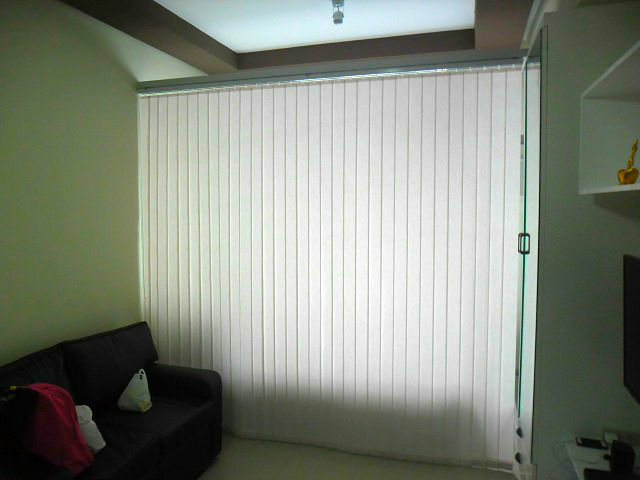 We also have Accordion Doors, Roller Blinds, Combi Blinds, Venetian Blinds, Wooden and Fauxwood Blinds. For your wall, vinyl wallpaper can be a great choice and vinyl wallpaper covering is also available. Wall-to-wall carpet and carpet tile are also available. Calls us at (02) 403-3262 or 0916-311-3909 or visit our kiosk at 4th level Waltermart, Makati City, 3rd level Robinsons Metro East, Pasig City and 2nd level Pacific Mall, Lucena City. You may also email us at inquiry@dswindows.com for free quotation and further inquiries.